The last 3 weeks after getting back from Mendoza have been action packed! 30th July we had Gerri (Chris' mum) come to stay for 2 weeks and also Geoff (Chris' dad) for 1 week in the middle of that. It was fantastic!! It is the coolest thing getting to show off our new home and town with those we love and don't get to see! So it was a blast and yes, full on with work and everything. But that is living isn't it. all good. Well as usual, my sister Zo gave me a kick up the bum saying I'm a lazy blogger (yes I am) and need to push on and update this dusty thing, so here we go. With Gerri arriving we welcomed her with champs and a picada (cheese and cold meats platter) that I ordered and was made by our little local deli 'La Quesera' which was incredible and lots and lots of fun! There was so much to catch up on and lots of hugs to be had and Chris and Gerri's face was all smiles and fuzzies and it was special! Our first day began with sleep ins and then an afternoon trip to the Recoleta markets. As the sun was setting we saw live music and bought roasted sugar peanuts and walked around soaking in the vibin' atmosphere. was great! Gerri took rest and adventured solo into Quilmes while we were at work. Geoff then arrived on the Wednesday and they stayed in Recoleta in an apartment while we finished our week at school. The weekend was packed with exploring Capital- the four of us went to Recoleta Cementario, lovely lunches, cruised around the markets and then Chris and Geoff went to a futbol game while Ger and I had girl time. We went off to the most expensive hotel in Buenos Aires called Alvear Palace Hotel for high tea- and high and mighty and fancy and fun it was!!! it was a blast! We met up with the boys after, went to the awesome theatre turned bookshop and spent a lovely evening altogether. Chris and I stayed in Capital that night. Sunday adventures: San Telmo markets down Defensa (a old cobbled stone long long road closed off for kilometres of markets on Sundays). We walked and walked and looked and bought hand made things and it was fantastic! next stop was La Boca where we had a tour through Boca Juniors Stadium - this was the highlight for Geoff and it was great to see the boys sharing that together! Then we tripped to Caminito to watch the tourists and tango dancers and all the colourful magical buildings. It was indeed a weekend where we became tourists again, but so cool to see ger and geoff in their travelling element! 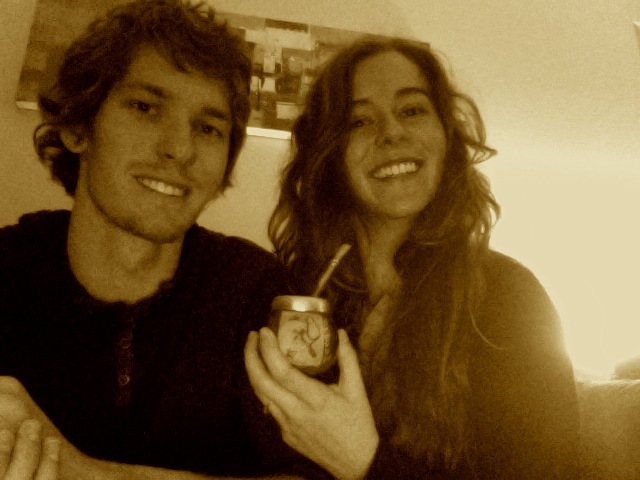 Geoff flew back to Australia on Wednesday and the following weekend was off to Uruguay with Gerri! On the Buquebus which is the super speedy and very up market ferry we head for Colonia de Sacramento. It was a very relaxing, slow paced, walking, cafes, fresh air and enjoyable weekend! So now mama K is back in Oz, and Chris and I have been heads down tails up pushing through large amounts of marking and reports that are storming towards us. I am feeling under the pump to put it one way. September we get one week off holidays- where to go? In all honesty, I am hanging out for homeness in Australia- I remember at the start of the year feeling quite frustrating on spending money and going back to that side of the world when we were so keen to explore everything over here... but I am so so so keen to be at my brother's wedding and be around my grandparents and my favourite beach spots and to drive a car along the coast, or just to even jump in a car and drive!! missing my Australian home a lot! missing my girl friends and missing the Australian energy a lot. It's not a sad depressed feeling I am having, it's not even close to wanting to pack up and head back... but it is such a fondness I have for my Australian home that I am sooooo looking forward to holidaying back in Aus! I am counting down the months on the calendar!! 4 months to go. 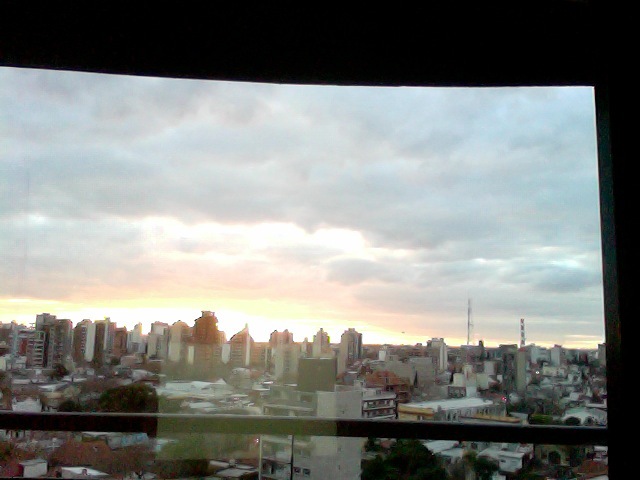 Sitting here now on Sunday evening, sun is setting over our little city town Quilmes- dusky pink and gold peaking through the crispy cold clouds- content and snotty from my sinus infection... but feeling good, drinking mate and happy to be here. cant get enough of your blogs guys....soooo looking forward to spending some time with you guys in BA 2012 and Amy will be there next year....wow!! ps im such a silly IT sausage.......after thinking that i have commented successfully on all your blogs, i had not even signed in with my gmail account....DOH! I LOVE that photo of Chris, Gerri and Miki - all massive smiles! And great to see the travelling hat Mik!! !